ARLINGTON, VA; JUNE 21, 2013 – PBS announced today the host, on-air talent and filming locations for its new series GENEALOGY ROADSHOW, which premieres this fall. Part detective story, part emotional journey, the show combines history and science to uncover the fascinating and surprising stories of diverse Americans from across the country. The announcements come as GENEALOGY ROADSHOW begins production this weekend in Austin, Texas, the first of four U.S. cities it will visit. Los Angeles-area broadcaster Emmett Miller has been named as the host of GENEALOGY ROADSHOW. As host, Miller introduces the show and each segment, guides viewers through the personal stories of the participants, and interacts with the participants throughout their journey. 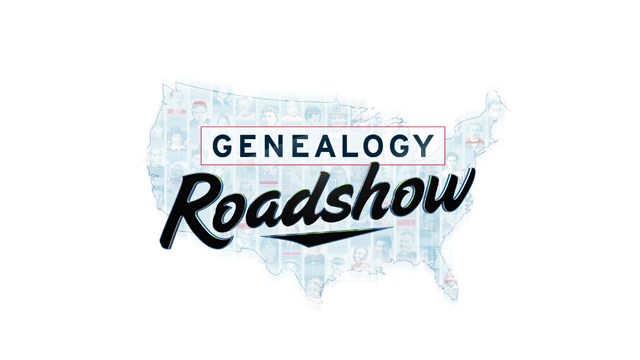 ROADSHOW production company Krasnow Productions has also cast nationally known genealogical authors, lecturers and researchers Joshua Taylor and Kenyatta Berry as the show’s on-air experts. Taylor and Berry will investigate participants’ questions and then, in front of a live audience, reveal the intriguing and surprising information they discover about the participants, their families and their communities. GENEALOGY ROADSHOW begins production this week in Austin, Texas, the first of four cities the series will visit in its premiere season. The shoot, which will capture six stories to be featured in the show, takes place June 23 at the historic The Driskill hotel. The entertaining mix of stories includes surprising connections to iconic figures in Texas and American history, debunked histories, and an emotional story of one man’s amazing family. Built in 1886 as the showplace of a cattle baron, The Driskill remains a landmark of legendary Texas hospitality and a symbol of the state’s resilience and historic pride. Located on 6th Street in the heart of downtown Austin, the hotel was the site of many famous inaugural balls for Texas governors and was the first-date location for Lyndon Baines Johnson and his future wife Lady Bird. The Driskill maintains its original opulence, from the magnificent columned lobby with marble floors and a stained-glass dome to the classic décor of its 189 guestrooms and suites. After Austin, the production team travels to Nashville June 29 to film segments at the Belmont Mansion, the largest house museum in Tennessee and one of the few 19th-century homes whose history revolves around the life of a woman: Adelicia Hayes Franklin Acklen Cheatham. GENEALOGY ROADSHOW then visits Detroit on July 14, and the first season’s filming wraps up July 21in San Francisco, at The Old Mint, an 1874 historic edifice that once was the most active mint in the United States, and that in the 1930s held one-third of the nation’s gold reserves. “Now that we’re on the ground and preparing to film, we are thrilled with all the aspects of this production, from the enthusiastic response to our call for stories to the extraordinary historic locations where we’re working, to the lively, fun and engaging on-air talent,” said executive producer Stuart Krasnow. GENEALOGY ROADSHOW’s premiere season will feature participants who want to explore unverified genealogical claims, passed down through family history, which may (or may not) connect them to an event or a historical figure. Experts in genealogy, history and DNA use heirlooms, letters, pictures, historical documents and other clues to hunt down details. Producers enlist the help of local historians to add color and context to the investigations, ensuring every artifact and every name becomes a clue in solving the mystery. GENEALOGY ROADSHOW will air Mondays, September 23-October 14, 9:00-10:00 p.m. ET. GENEALOGY ROADSHOW is produced by Krasnow Productions, named for its founder and president, Stuart Krasnow, a 30-year veteran television producer. Under his banner, Krasnow has developed and produced series in almost every genre of unscripted television for broadcast and cable networks, including The Weakest Link, Average Joe, Dog Eat Dog and The Janice Dickinson Modeling Agency. Krasnow Productions also sold and produced Searching For…, one of the first original series to be produced for Oprah Winfrey’s OWN network. In addition, Krasnow Productions has sold and produced original projects for NBC, A&E, TBS, GSN, MTV, HGTV, E! and Fremantlemedia. Big Mountain originated the GENEALOGY ROADSHOW format, which is in its second season in Ireland on RTE Television. Run by husband-and-wife team Jane Kelly and Philip McGovern, who are former BBC/RTE executive producers, Big Mountain originates and produces television shows for national broadcasters, specializing in hybrid shows that combine great content and entertainment value, including: The Tenements, Life in the Big House, Craftmaster, Living the Eviction and the music-mentoring show Jam. PBS, with its over 350 member stations, offers all Americans the opportunity to explore new ideas and new worlds through television and online content. Each month, PBS reaches nearly 120 million people through television and over 29 million people online, inviting them to experience the worlds of science, history, nature and public affairs; to hear diverse viewpoints; and to take front row seats to world-class drama and performances. PBS’ broad array of programs has been consistently honored by the industry’s most coveted award competitions. Teachers of children from pre-K through 12th grade turn to PBS for digital content and services that help bring classroom lessons to life. PBS’ premier children’s TV programming and its website, pbskids.org, are parents’ and teachers’ most trusted partners in inspiring and nurturing curiosity and love of learning in children. More information about PBS is available at www.pbs.org, one of the leading dot-org websites on the Internet, or by following PBS on Twitter, Facebook or through our apps for mobile devices. Specific program information and updates for press are available at pbs.org/pressroom or by following PBS Pressroom on Twitter.